Home > News > How To Embed The Audio From A YouTube Video? 1. First open the YouTube video from which you want to extract the audio. 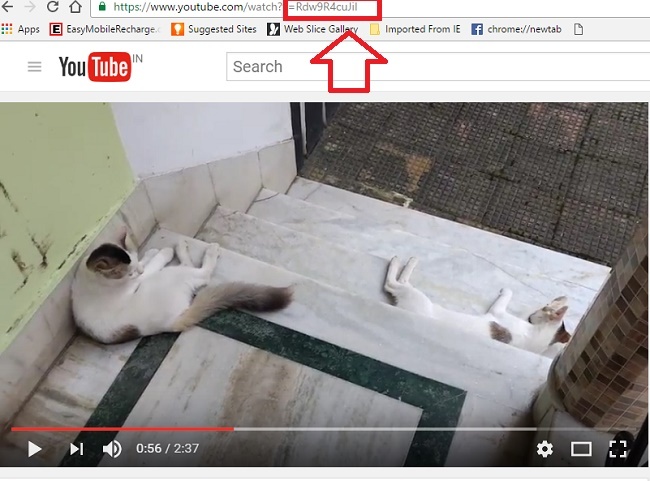 In the URL of the video which is there in the address bar, there is an ID associated with each video. Note down the ID. For example, in my video, the ID is Rdw9R4cuJiI. 2. Now, add the snippet to your website’s HTML code. It should be like the following. To play the audio automatically, set the value of ‘data-autoplay’ to 1. To play the audio on loop, set ‘data-loop’ to 1. This opens as fullscreen on iOS and there are now ways to prevent videos from fullscreening on iOS. Any idea how to combine the two to make this actually useful (meaning does not fullscreen on iOS).